All polishes, except Père Lachaise are 3 coats with top coat. They were all (again except Père Lachaise) a tad sheerer than I expected, but still dried quickly and were easy to use. Byberry is a bright pink holo. Byberry Mental Hospital is located on the outskirts of Philadelphia, Pennsylvania. Byberry was first constructed in 1906 and opened its doors to its first patient in 1907. It began its humble beginnings as a work farm for the mentally ill but between 1910 and 1920 construction of a large asylum was begun and completed. As asylum popularity grew through out the country by the mid 1930′s, Byberry’s population quickly expanded and with it came tales of patient abuse and neglect. Insufficient funds left the asylum in disrepair and patients wound up unclothed, starved, and sleeping in raw sewage filled hallways. Many patients were forced to live huddled in decrepit, dingy rooms with no socialization or supervision. Every mental institution nightmare you can imagine came true. “Padded cells, restraining devices, solitary confinement, beatings by brutal warders and violent inmates, lobotomies and electric shock ” were just some of the horrid treatments used. Byberry became known as a “real life house of horrors” as murder, suicide and brutality reigned. 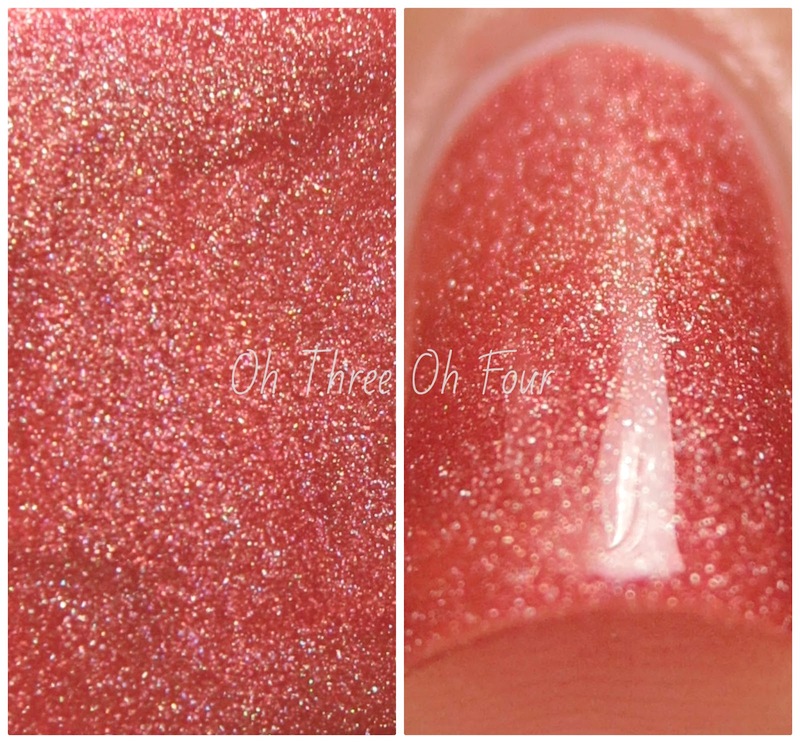 City Tavern is a red-orange holo. The present structure is a reconstruction of the original structure, which was destroyed in a fire in 1834. The fire not only claimed the City Tavern, but a young bride and several members of her bridal party. The City Tavern was, and still is, a popular location for wedding parties.In 1834, the bridal party had taken over the upstairs for their preparations. At that time, light was provided by candles and fireplaces. The groom's party was downstairs waiting in the public area. No one in the bridal party noticed that a candle had tipped over, or that the drapes had begun to smoulder. No one noticed the fire creeping across the rug towards the party. In fact, this happened so quickly that I strongly suspect that it was not a candle that tipped over but an oil lamp. The flames moved across the rug and caught the train of the bride's dress.￼￼Fabric being what it was back then, she was almost instantly consumed and then the party noticed that most of the room was engulfed in flames.The groom and his attendants attempted to save the bridal party, but were largely unsuccessful. The bride and many of her attendants perished, and the City Tavern had to be demolished. What a sad ending to what was to have been the happiest day of her life!The City Tavern was rebuilt and reopened in 1976, after extensive research was undertaken to replicate the original City Tavern. The Tavern continues to host wedding parties. Over the years members of parties, particularly wedding parties, have noticed the face of an unknown woman in photos taken upstairs. In the photos she wear what looks like a bridal gown. Some patrons have even seen the apparition of the phantom bride in the halls and rooms of the tavern. Eastern State is described a bright blue holo. Elfreth's Alley — popularly known as "Our nation’s oldest residential street" – dates back to the first days of the eighteenth century. Twenty years after William Penn founded Pennsylvania and established Philadelphia as its capital, the town had grown into a thriving, prosperous mercantile center on the banks of the Delaware River. In the eighteenth and early nineteenth centuries, numerous artisans and craftsmen resided on Elfreth’s Alley, often living and working in the same building. Even at that early date, Elfreth’s Alley had a diverse population. English colonists who worshipped at nearby Chris Church lived next door to Moses Mordecai, a Jewish merchant who was a leader of Mikveh Israel Synagogue. Cophie Douglass, a former slave, began his life as a free man in post-revolutionary Philadelphia while living on Elfreth’s Alley. During the Industrial Revolution of the nineteenth century, the Alley became a neighborhood of immigrants from Germany, Ireland, and other parts of Europe who sought new opportunities in America. Grumblethorpe is a deep green holo. Built in 1744 as a country summer home by wine importer John Wister, Grumblethorpe was originally known as "John Wister's Big House" because it had multiple stories. Built from stone quarried on and oak cut from the Wisters' extensive property, the house is a prime example of domestic Pennsylvania German architecture of the period. Intended as a summer retreat, the house was occupied also in winter in the year 1793 when the Wister family sought refuge from the yellow fever epidemic raging in Philadelphia. In the early 19th century, Charles Jones Wister I, grandson of John, made it his year-round residence. The family retained ownership until the 1950's. Members of the Wister family are known for their contributions to American literature, horticulture, historic preservation, and astronomy. Owen Wister, the author of the well-known novel of the American west, The Virginian, lived nearby and spent summers in his youth there. Sally Wister, who lived in the house during the Revolution, kept a diary of her experience and perspective on the changing nation. Her diary remains in publication today and provides insight into the thoughts of teenagers in the 18th century. Charles Jones Wister, who named the house "Grumblethorpe" after reading the humorous 19th-century book, Thinks I to Myself, was known for his finely-crafted scientific tools and his broad knowledge of the sciences. Charles kept a weather diary and recorded the weather every day for decades. Today, these records are still used by forecasters in the Philadelphia region as a benchmark for declaring the hottest or coldest day on record. With plans to build athletic fields and a parking lot, Temple University acquired Monument Cemetery in 1956, after aprotracted legal and public relations battle. The cemetery had run out of burial space in 1929 and with no income, it had become increasingly difficult to provide even minimum upkeep. Meanwhile the land–across the street from a growing public university–became valuable. Eventually, Temple convinced the city to condemn the property; title was transferred to the city then the University, which was saddled with the monumental task of relocating 28,000 bodies. University officials contacted 748 families; 400 responded and 300 bodies and grave markers were moved to Lawnview Cemetery, in Montgomery County, and reinterred. Most of the rest were dumped into a mass grave at Lawnview, while the monuments themselves were sold to developers to serve as rip rap (foundation material) for the Betsy Ross Bridge. Though many remain submerged, several are still visible from the river bank, especially at low tide. (Quoth the Raven) Nevermore is a deep blue-green holo. The Historic Site is the only of Poe's Philadelphia homes which still stands and is located in the now defunct Spring Garden district on the northern edge of Philadelphia. Poe rented the house early in 1843 and is believed to have lived there for about a year or less along with his wife Virginia and his aunt/mother-in-law Maria Clemm. It is uncertain when the family moved into the home, which was then at the corner of Seventh Street and Brandywine Alley (no longer extant) though believed to be some time before June. In a letter to James Russell Lowell dated June 20, 1843, Poe invites Lowell to visit him: "My address is 234 North Seventh St., above Spring Garden, West Side." Speculation as to which stories and poems were written in this home are unprovable, but suggestions include "A Tale of the Ragged Mountains", "The Balloon-Hoax", and "Eulalie". The neighborhood was then predominantly made up of Quakers. The family's decision to move may have been prompted by Virginia's health, who was struggling with tuberculosis. Her mother, Maria Clemm, maintained the home for the small family. A neighbor later recalled: "Mrs. Clemm was always busy. I have seen her mornings clearing the front yard, washing the windows and the stoop, and even white-washing the palings. You would notice how clean and orderly everything looks." A visitor referred to the home as little more than a lean-to. Poe occasionally had difficulty paying rent, though the landlord, a plumber, was tolerant of this. The family moved out the first week in April 1844 and made their way to New York. Several families lived in the home after Poe until it was purchased by Richard Gimbel, son of the founder of Gimbels department store, in 1933. An avid fan of Poe, he refurbished the home and opened it as a museum. In his will, he left the property to the city of Philadelphia. The National Park Service began overseeing the property in 1978, reopening the home in 1980. The Hag of Pine Street is a lavender holo with a added purple flash. As urban legend has it, the Hag of Pine Street was an elderly lady who died at her home, located between 6th and 7th streets in Philadelphia. Her ghost is said to appear in the area to glare out her former home’s window or to yell and brandish her cane at those of the younger generation. All of these polishes will be avaible in Philly Loves Lacquer's Etsy store on October 10th! Make sure to follow Philly Loves Lacquer on Facebook, Twitter, Pinterest and Instagram!